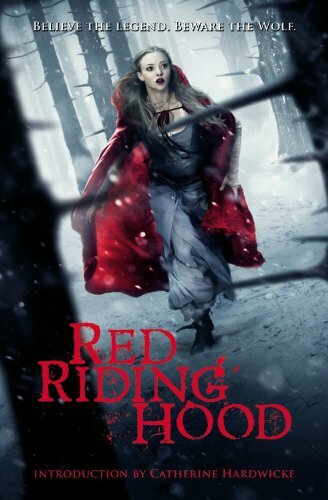 If you love Red Riding Hood tales and stories, like me, I suggest you get your hands on Red Riding Hood by Sarah Blakely-Cartwright. It is absolutely amazing. This book is one of my favorite books of all time. It puts a spin on the classic tale. I love this book so much. There are a lot of bad reviews on this book talking about the missing ending, but there is an ending! All you have to do is go to a website to read it. The link is in the book. The book is worth it. The description below is from Amazon.com. Enjoy! It soon becomes clear that Valerie is the only one who can hear the voice of creature. The Wolf says she must surrender herself before the Blood Moon wanes . . . or everyone she loves will die. Follow the link above to get this book at Amazon as a paperback, Kindle book, or an audio book. 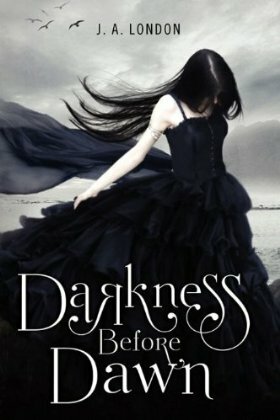 This book perfectly ended the Darkness Before Dawn trilogy by J.A. London. I never wanted this trilogy to end, but with this book ending it I was very happy with the way it did. The description for the book from Amazon.com is below. Enjoy! After Daybreak brings J. 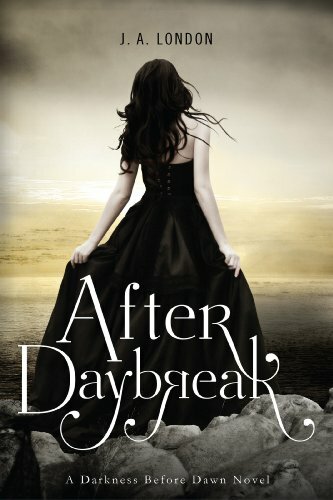 A. London’s romantic dystopian Darkness Before Dawn series to a thrilling conclusion. This book, the sequel to Darkness Before Dawn, is amazing. It definitely exceeded my expectations. J.A. London went above and beyond with this book. In my opinion, the second book is usually not even close to being as good as the first, but this book is just as good as the first, if not better. This is a must-read for YA romance lovers. This book has just the perfect amount of romance and action so there is never a boring spot. I put the Amazon.com description below! I thought vampires were our enemies—they controlled our lives, isolated our cities, and demanded our blood—until I met Victor. With Victor taking over as the new Lord Valentine, things were supposed to get better. Instead, they’re worse than ever. Day Walkers, a new breed of vampires who can walk in the sun, are terrorizing the city. Blood supplies are low, and if Victor’s vampires don’t get enough, they will become infected with the Thirst—a disease that will turn them into mindless killers. To stop it, I must journey across the desolate wasteland to the very place where the sickness began. I can only hope that the answers that await me are enough to save us all . . . before it’s too late. 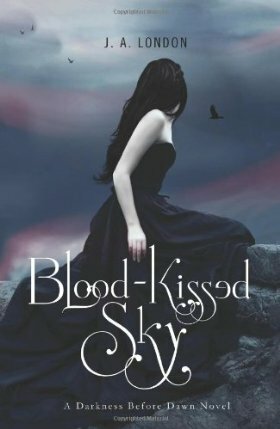 Now, I usually don’t go for vampire books, but when I bought this book I had no clue what it was about, I just loved the cover. But when I found out it was about a vampire named Victor, I thought I would just try it and if I didn’t like it I would return it. After about the first chapter I was hooked. I took this book everywhere I went and read it whenever I could. This isn’t your normal vampire love book, trust me. I highly recommend this book to everyone—even to those of you who don’t particularly like books about vampires. Amazon.com description is below, enjoy! After the death of my parents, it’s up to me—as the newest delegate for humanity—to bargain with our vampire overlord. I thought I was ready. I thought I knew everything there was to know about the monsters. Then again, nothing could have prepared me for Lord Valentine . . . or his son. Maybe not all vampires are killers. Maybe it’s safe to let one in. This book is addicting. I couldn’t put it down, and I stayed up all night to finish it. I couldn’t wait to get the second book. Overall this story of supernatural love was better than what I was expecting, and such an amazing read. I put the description from Amazon.com below! There on the dusty plains of Enchantment, New Mexico, Daire sets out to harness her mystical powers. But it’s when she meets Dace, the boy from her dreams, that her whole world is shaken to its core. 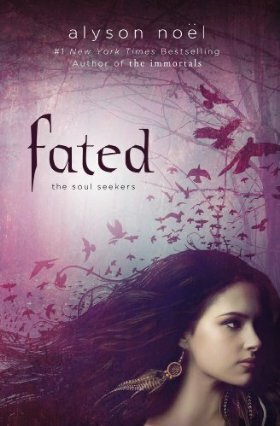 Now Daire is forced to discover if Dace is the one guy she’s meant to be with…or if he’s allied with the enemy she’s destined to destroy. This book is part of a series: the Soul Seekers. 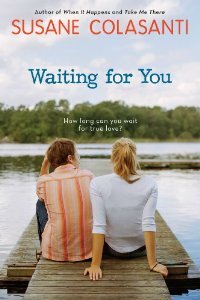 Susane Colasanti really captures the teen voice in her book Waiting For You, a modern day love story. She puts emotion into the book, you can feel what Marisa is dealing with. Most teens can relate to the difficulties and challenges Marisa faces. This is an all around good book, a must read for teen girls. If you want to know more the description from Amazon.com is below! It’s sophomore year, and Marisa is ready for a fresh start and, hopefully, her first real boyfriend. But after popular Derek asks her out, things get complicated. Not only do her parents unexpectedly separate, but Marisa has a fight with her best friend, and Derek—the love of her life—delivers a shocking disappointment. The only things keeping Marisa together are the podcasts from an anonymous DJ, who seems to totally understand Marisa. But she doesn’t know who he is … or does she? Anyway, expect to start seeing the occasional update again soon. That really was the purpose of the changes—to make it easier to throw a post up when I want.